The Oyo State Governor, Abiola Ajimobi, on Thursday, met the owner of Fresh FM, Yinka Ayefele, over the demolition of his radio station on Sunday morning. Immediately after the meeting he set up a panel to look into the demolition. The building was partly demolished by the state government over contravention of the state’s physical planning rule and the inability of Ayefele to provide the relevant documents when asked to do so. The governor said the demolition was neither a witch-hunt nor politically motivated, insisting that it was due to the contravention of the state’s property laws. 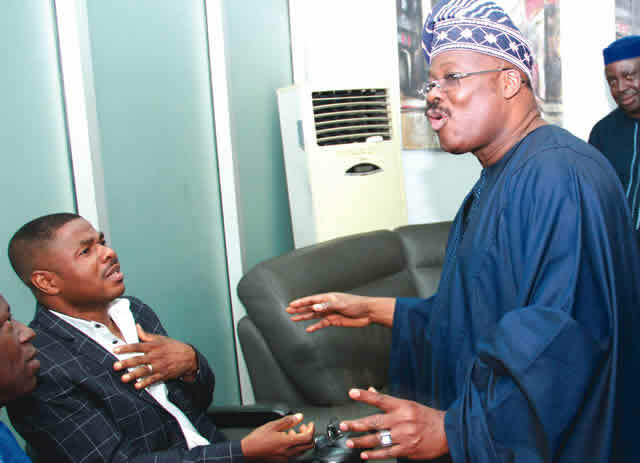 He also urged Ayefele to ensure that his radio station embraced ethical reportage of the issue. The Alaafin of Oyo, Oba Lamidi Adeyemi, who was at the Governor’s Office in company with some monarchs, also pleaded with the Ajimobi to resolve the impasse. Earlier, Ayefele had stated that his office responded to all the letters forwarded to it by the state government. He expressed regrets at not being able to see the governor, adding that the emissaries he sent failed to deliver his messages. Ayefele stated that he remained a law-abiding citizen who was ready to comply with the regulations of the state government.